This is an updated version of a previous post, which is preserved here. Some caveats: First, if you're running Python 2.x, you'll want to ensure that Flask is available for it, as well. (You can try pip install flask, depending on your configuration.) Second, if you're planning to run multiple Flask applications using multiple versions of Python, you may have to build uWSGI core from source and specify which Python plugin to use for each application. Building uWSGI from source isn't the worst thing in the world; instructions for building the application and the necessary plugins are available here. Here, url_mount is the mount-point for the application (for example, if you're running the application at http://www.yourserver.com/post, the value would be /post), base is the base directory of our application (the directory that contains the module we want to run), app contains the name of the module to run (in this case run, for run.py), callable is the name of the Werkzeug/Flask callable application object (if you don't supply this, uWSGI will assume that it's called application), and socket defines the location of the socket you'd like Nginx to use when communicating with your uWSGI server. The %n references the name of our file (sans extension) to maintain consistency. 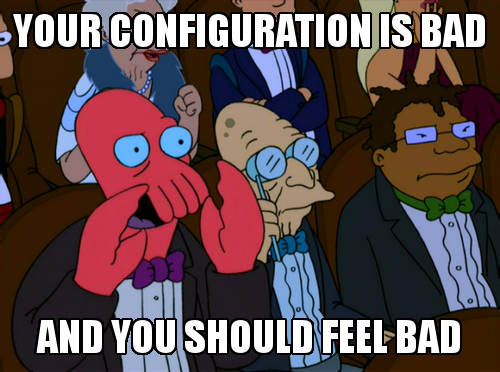 This configuration assumes that you want to run your program using the modules installed on your system's Python. Plugins might prove to be an issue. You'll want to point plugins-dir to the appropriate path, and make sure that you have the appropriate plugin. If you're running Python 3.x (or you want to specify a specific Python plugin for uWSGI for some other reason), you can point plugins at something like python34 (which you may have to build) instead. As soon as your Emperor process sees an application configuration file in apps-enabled it will start up a uWSGI instance to serve requests for that application. If you'd like to set up additional Flask applications at this time, simply install them and create uWSGI configuration files for each (and don't forget to link them to apps-enabled!). If you're having trouble, take a look at the logs (which are probably in /var/log/uwsgi/). Replace your.server.url with the URL for your server (you can use localhost for testing purposes). This configuration assumes that you'd like your application to be accessible at http://your.server.url/post. If you'd like it to take the place of the main page at http://your.server.url/, modify the location appropriately. Note that current versions of uWSGI no longer support the (long-deprecated) uwsgi_modifier1 30; to pass this mount information on to uWSGI, so if you're running multiple applications (or don't want to host your application on /) you will probably want to pay attention to the script mounting information for uWSGI above.